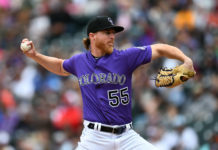 The Colorado Rockies defeated the Los Angeles Dodgers for the third time in four days Sunday to secure a crucial series victory over their NL West foes. 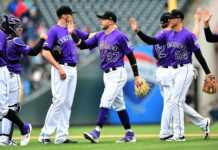 Led by starting pitcher Chad Bettis, who only gave up one run in 6.1 innings of work, the Rockies (63-55) were able to pull within 1.5 games of the division lead with Sunday’s victory 4-3 over the Dodgers (64-55). In 6+ innings of work, Bettis gave up just three hits and did his part to limit the traffic on the bases. The 29 year-old starter did walk four batters in the outing but all of them came in the fifth inning or later. More importantly though, Bettis followed up his first three walks by responding with immediate outs, before ultimately being pulled in the seventh inning after walking Yasmani Grandal. Bettis’ final walk of Grandal proved to be costly, as Grandal and Evan Turner both scored for Los Angeles on Brian Dozier’s RBI single to center field. One run was charged to Bettis and one run was charged to middle reliever Scott Oberg. The Dodgers tied the game at 3-3 in the eighth inning, tallying a pair of hits off Adam Ottavino. But the Brooklyn, New York native was able to limit the damage to just one run. 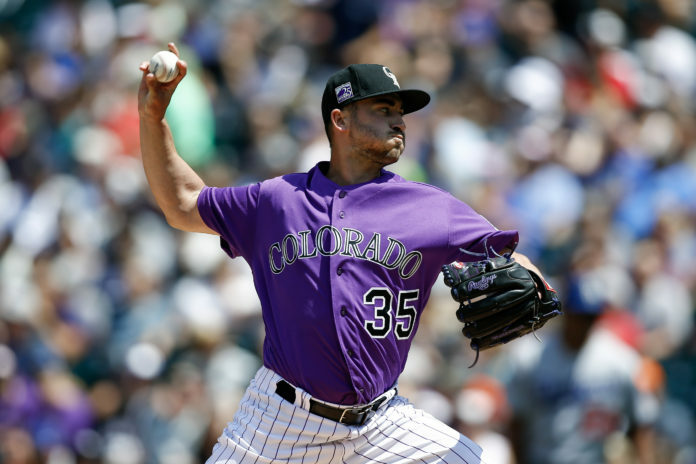 After Wade Davis held the Dodgers scoreless in the ninth inning, Rockies second baseman D.J. LeMahieu led off the bottom of the ninth inning with a single and advanced to second base when Dodgers right fielder bobbled the baseball. 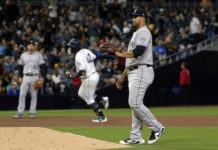 Outfielder David Dahl was then intentionally walked by Dodgers reliever Dylan Floro, who was filling in the ninth inning in place of Dodgers closer Kenley Jensen. Once Dahl advanced to second on a fielder’s choice, Floro intentionally walked the Saturday night’s hero, Ryan McMahon. With two outs and the bases loaded, veteran catcher Chris Iannetta came to the plate and he made the Dodgers pay for putting traffic on the basepaths. Ianetta fouled off the first pitch of the at-bat, before proceeding to watch four consecutive pitches outside of the strike zone and securing the game-winning walk. The Rockies will have a much needed off day Monday, before traveling to Houston, TX. for a two-game set with the defending World Series champions. When these teams faced in July, the Astros and Rockies each won a game at Coors Field.